The 2003 Muscadet Origine is one of the most distinctive wines I have ever tasted. Old dogs can learn new tricks and this Muscadet, made from the estate’s oldest vines (planted in 1944), was aged on its lees in tank for ten years and only bottled in 2013. Readers may know that 2003 was a bizarre year of excessive heat and drought, and while some great red wines were produced, they were few and far between. For white wines, it was largely a disastrous vintage as they did not possess any acidity. The white grapes had to be picked so early that there was a lack of mature flavors in the wines as well. Somehow, this offering overcame all of those problems. The wine is fresh and lively, and its decade of lees aging has given it a texture and richness that is rare for a Muscadet. The finish goes on and on, and the wine’s vibrancy, honeyed citrus and minerality are remarkable. This is a tour de force and, to reiterate, one of the most original dry whites I have ever tasted. It is difficult to say how long a wine such as this will age, but at present it is a vibrant, fresh, delicious white wine. In the heart of the Muscadet appellation, northwest of the famous natural Lac de Grandlieu, is Domaine du Haut Bourg, a one-hundred-acre estate that began producing wine in 1945. 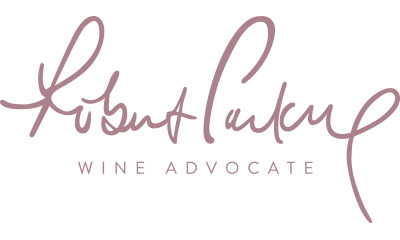 I tasted three of their under-$25 selections, all Muscadets that merit attention. Slightly richer is the 2013 Muscadet Pavillon Cotes de Grandlieu. Like its siblings, it is made from the region’s indigenous grape called Melon de Bourgogne. It is made from the finest parcels of the estate’s 30- to 60-year-old vines that are densely planted at 7,000 vines per hectare. The soil base is sand mixed with decomposed granite and schist. It, too, was aged on its lees for six months, but it reveals more intensity as well as more honeyed grapefruit and floral, wet stone and gravel-like notes. Medium-bodied, dry and lively, it can be enjoyed over the next several years. 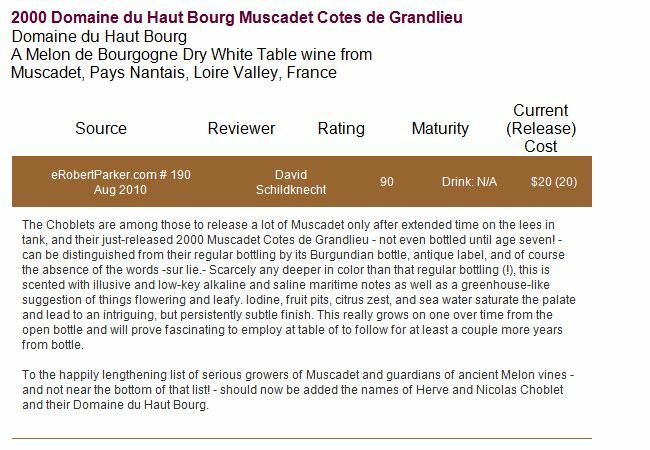 The least expensive, and a heck-of-a value is the 2013 Muscadet Cotes de Grandlieu made from 30- to 60-year-old vines and aged on its lees for six months prior to bottling. It reveals lots of crisp citrus and crushed seashell-like notes, vibrant acidity and a light to medium-bodied mouthfeel. There are 4,000 cases of this excellent Muscadet made from 30- to 60-year-old vines. 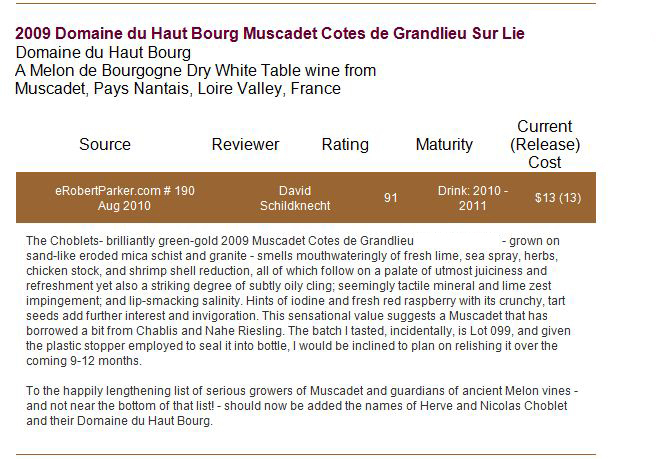 A super value from brothers Herve and Nicolas Choblet, the 2012 Muscadet Cotes de Grandlieu offers lots of apple and wet rock-like notes in its crisp, fragrant aromas and light to medium-bodied flavors. It reveals an intensity and richness that are rarely found in a $13 bottle of wine. It is composed entirely of the Melon de Bourgogne varietal, and was aged on its lees for six months, which no doubt explains its texture and fleshiness. Drink it over the next 12-18 months.